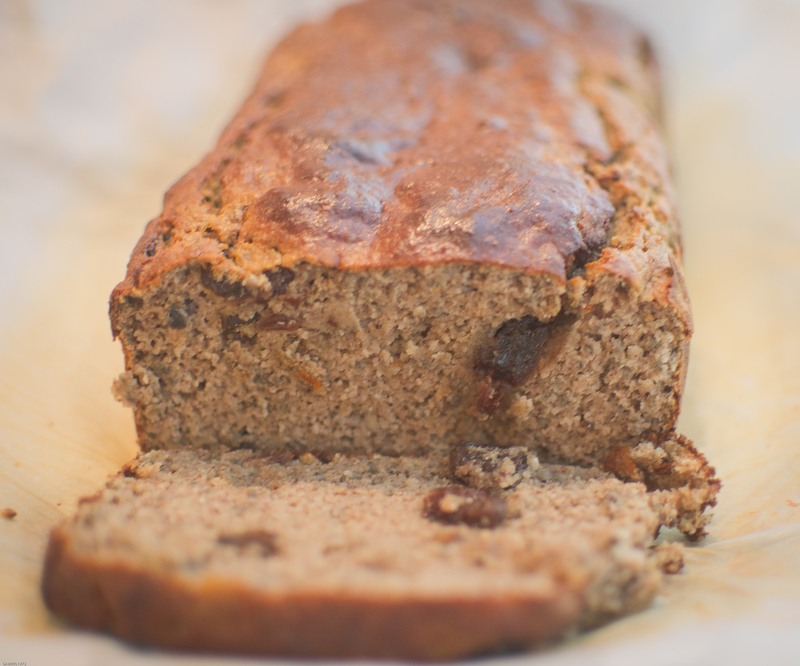 Todays recipe is Coconut + Cinnamon + Raisin Loaf. All three go hand in hand in creating a loaf that you would happily eat in one sitting. However, that is not recommended for health reasons but don’t let me stop you. I found it tasted nicer the second day so try and save some. Wrap it in foil and store in the fridge. I made some raw strawberry chia jam to accompany the slices into my mouth. Anywho without further ado let me jot down this delicious recipe. Preheat oven 150 degrees. I reduced the oven temperature to 130 after 30 minutes. Line a loaf pan with greaseproof paper. In the food processor add bananas, oil, milk, eggs and blitz. In a separate mixing bowl pop in coconut flour, chia seeds, cinnamon, raisins baking soda and whey protein powder. Fold the wet mixture into the dry mixture and evenly combine until a batter is formed. Pour into loaf pan. Bake for 45-50 minutes , keep a close eye on the loaf. Use a toothpick to dunk in the middle of the loaf to ensure it is fully cooked. Allow to sit for 5-10 minutes once removed from the oven. As you can see from the image it came out very moist. Slice it up and chill out with a herbal tea or coffee.